Storey Publishing, LLC, 9781612126081, 200pp. 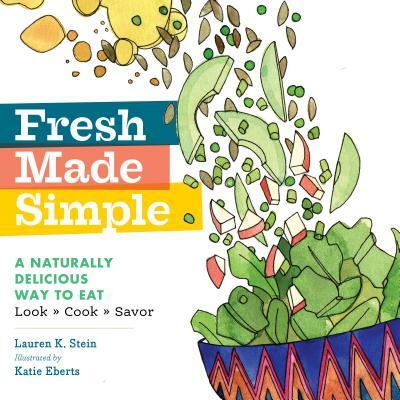 Katie Eberts, illustrator of Fresh Made Simple, is a graduate of the University of Michigan Stamps School of Art & Design. Her illustrations have appeared in numerous food magazines and blogs and can also be seen at www.katieeberts.com. She lives in Hessel, Michigan. "Fresh Made Simple is organized by texture — think smooth, smashed, and tossed instead of breakfast, lunch, and dinner — and filled with vibrant sketches and easy recipes. You’ll almost taste the food, the love, as you turn each page. "?